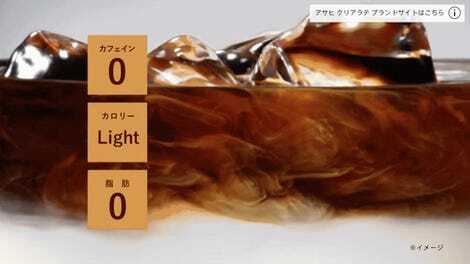 Recently, Coca-Cola Japan released a clear Coke. But it’s not the only drink maker in the country that is going see-through. Anyone who remembers the 1980s and 90s can recall how clear—and white—drinks became en vogue. In Japan that meant, vodka, shochu and white wine. In America, clear liquor was popular, but we also got Crystal Pepsi and Tab Clear. These modern-day heirs show Japanese beverage makers following what now could be a cyclical trend. 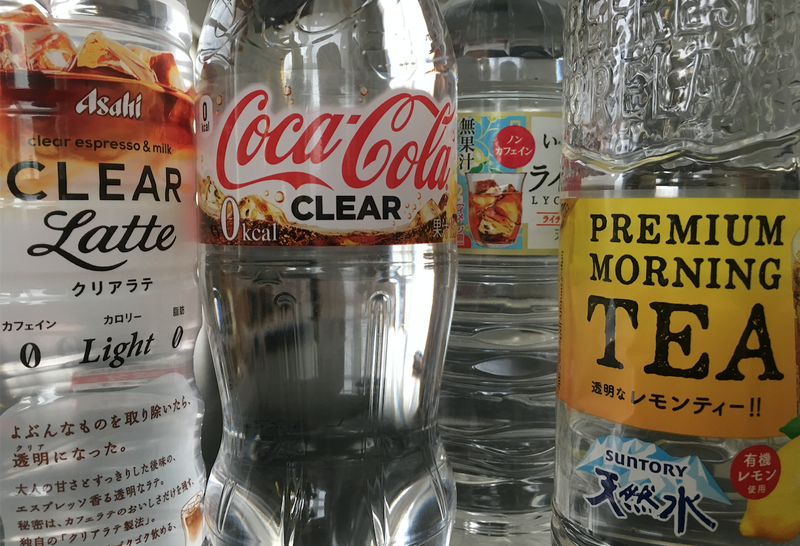 Now, besides Coca-Cola Clear, there is Clear Latte from Asahi, Premium Morning Tea from Suntory and (clear) Lychee Tea from Irohasu, as well as a whole host of others. Out of those four, how do they taste? Which one is best? Let’s find out. Coffee aromas and a nuttiness, but with a strong milky scent that’s more like a milk power than fresh cream. Yet, the nose on this seems diluted and watered down, like iced coffee in which the ice has all melted. Taking a sip, it coats the inside of the mouth. The distinctive flavor of coffee, milk and slightly sweet almonds. The finish is long—too long. I needed a palate cleanser to get the Clear Latte taste out of my mouth. Would I drink it again? While I get that it has no caffeine, no fat and low calories, Clear Latte basically tastes like coffee or someone’s idea of it, but imitation, fake coffee. No thanks. Nosing the glass, there are lemons, cardboard, sugary marmalade, and English tea. This is a crisp drink that tastes more like water with tea and sugar than tea. A slight sourness does linger. Suntory should’ve called this premium morning water with sweet citrus. Would I drink it again? If I was thirsty, perhaps. Like, if it was 100 degrees outside, yes. Not sure I would seek it out on a store shelf though. Immediately, I got lychee aromas, passion fruit, berries, flowers. The label says it’s made with lychee extract as well as oolong tea. The fruitiness is so strong I cannot detect any tea notes. It’s light and easy to drink. Very floral, summery and pleasant. Would I drink it again? Oh yes. For as powerful as this smelled, I thought it was going to be a heavy, sugary drink. It’s not at all. My first impression is caramel, followed by carbonated aromas. That’s followed by a hint of lemon and what reminded me of Haribo cola gummies. It didn’t smell like actual Coke, but gummy cola. There was a certain chalkiness, too. Taking a sip, it’s not sweet and sugary, but exceedingly dry. Maybe too dry. After several sips, even the area between my gums and my lips were parched. Would I drink it again? Maybe. I’m glad it’s not too sweet, and I’m assuming making a clear Coke is tough, but I wish it wasn’t so dry. The clear winner: Lychee Tea.